Baby Brain? 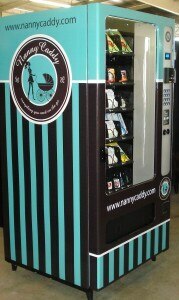 Nanny Caddy to the Rescue! The next time my family visits LEGOLAND, there will be a new addition that will thrill parents. No, I’m not referring to the new water park, which is sure to please the kids. 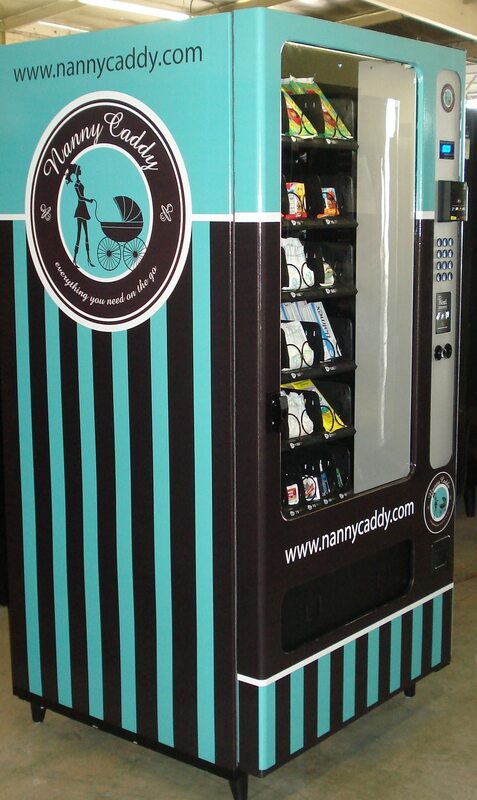 I mean the three Nanny Caddy vending machines strategically placed throughout the attractions that sell items that are easy to forget, misplace or use up, but can make the difference between a delightful vacation and disaster. A Nanny Caddy, which is making its California debut at the park this week, carries items that parents rely on: diapers, wipes, formula, bottles, and even pacifiers, which could replace one dropped overboard by an excited child during a water ride. Infants wear different sunscreens than their thicker-skinned parents, so that’s available as well, along with Tylenol, which presumably can be used to treat an adult headache as well as a child’s. But headaches should be reduced due to these devices, which also carry hand sanitizer, diaper cream, and disposable cameras. Visit the Nanny Caddy website for a list of nationwide attractions where they can be found. Did we mention that these fabulous machines also take credit cards? They are also stocked with familiar kid diet staples, like Goldfish crackers and juice boxes. If you’d rather take the kids to eat elsewhere, check out our lists of best kid-friendly restaurants near you. That is a very cool idea. Another cool idea while traveling is to come by the gulf coast of Florida in the Destin, Fort Walton Beach area. Where there is beautiful water and beautiful beaches!! While you are they you should also check out Couch-n-Four steakhouse and seafood restaurant; whether you are in the mood for Steak, seafood or just to hang out with friends, Coach-n-Four, http://www.coachnfourfwb.com, is one of the best Fort Walton Beach restaurants. Next Next post: Hello, Cleopatra!